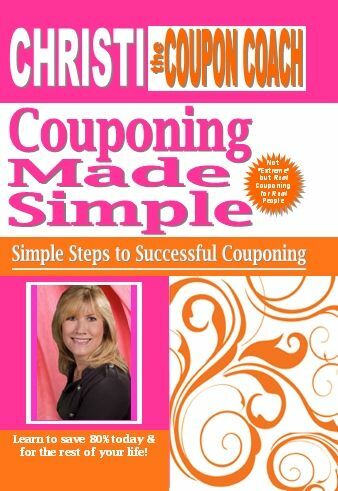 Recently, I had the opportunity to use and review Couponing Made Simple, Simple Steps to Successful Couponing, by Christi Bassford, available through Christi the Coupon Coach. I've been an avid couponer for the last 5 years or so. I've shared bits about that adventure here and even went as far as to begin a money saving blog (my attention was diverted elsewhere - sewing ties and quilts! - and closed that blog). I love saving money, and I support fully any effort to help consumers learn to spend less and save more, so I was more than happy to review this book. And, of course, there's always the potential to learn ways to save even more money. 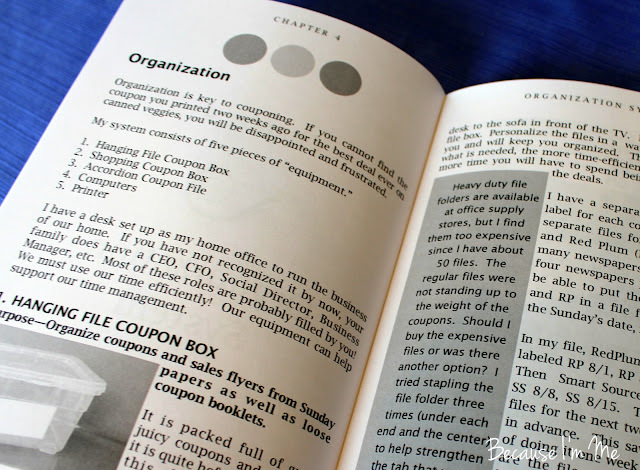 Couponing Made Simple is an easy read. Christi writes very enthusiastically and conversationally. She shares real life success stories and real world savings examples using real stores. The information she presents includes where to find coupons, when to use them and where, how to organize them, how to find deals online, and how to save money beyond couponing, such as consignment and thrift store shopping. The information is presented clearly and concisely, with a lot of direction and guidance. It really is "couponing made simple". 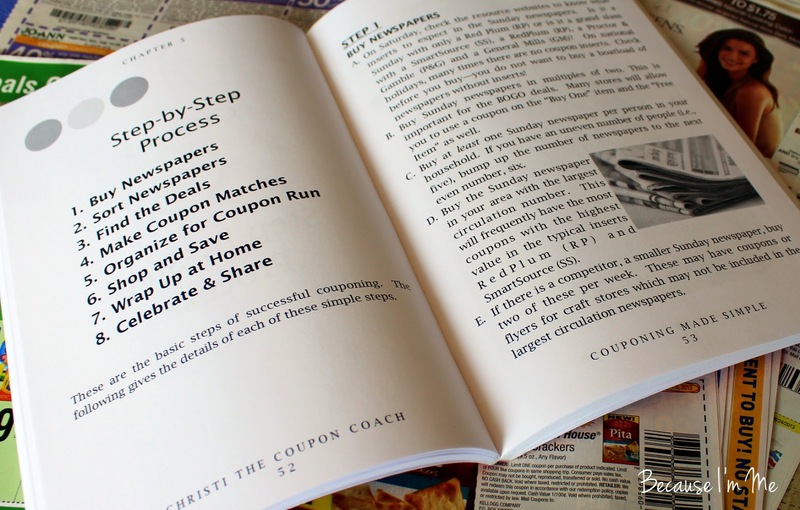 Couponing Made Simple covers all the basics and provides the inspiration to make a go of it. Instead of spending hours reading blogs and gathering information from here, there and everywhere about the best and simplest way to use coupons successfully it's right here in one book. Following the steps presented in the book will guide the reader towards couponing as easily and painlessly as possible. I didn't come away from the book with a whole new couponing education, because I've been doing it and have a system that works for me, but I think it's a good resource for beginner couponers and I did feel that it covered all the ins and outs a couponer needs to know to make it easy and worthwhile. Couponing Made Simple, Simple Steps to Successful Couponing, can be purchased for $18 for a physical book and $4.99 for the Kindle version. As an aside, I hear a lot of people say they need to save money but couponing takes too much time, energy, skills, etc. and it's not worth it; coupons are only for processed food and not fresh fruits and veggies; we only eat certain foods and there are never coupons on those foods. There are ways to make coupons work, at least to some degree, for almost everyone. Yes, there are coupons on fresh foods. Yes, it's time consuming in the beginning, but even with two newspapers a week and three grocery stores I got my planning down to two hours - to save 60-80%. I can't imagine going to Publix, Walgreen's, or CVS and paying full price. If you normally spend $100 per week and *only* save 20% you'll have an extra $1040 in your pocket at the end of the year.